What are miners capable of? To put it simply, miners are specialized group of Bitcoiners that extend the chain with blocks of transactions to help move bitcoins from person to person. If majority of the miners (that command more than half of the network hashrate) are not honest, they could launch a so called 51% attack by double-spending transactions or refusing to confirm any transactions. 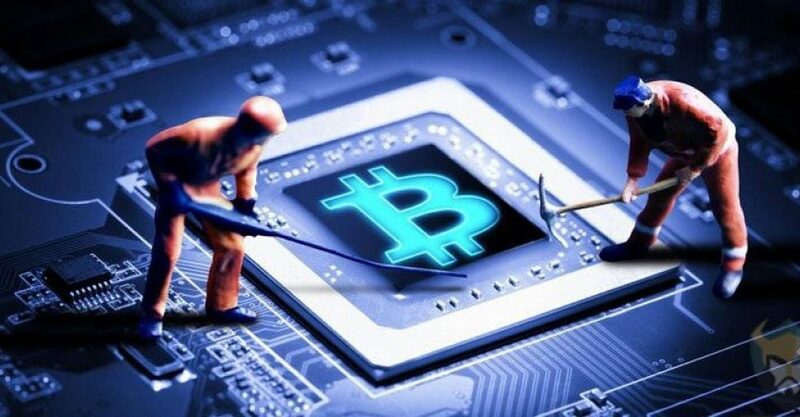 Malicious miners cannot create value out of thin air or taking money that never belonged to them because bitcoin's properties cannot be illegitimately changed as long as most of bitcoin's economy uses full node wallets. These rules define bitcoin. A full node is software that verifies the rules of bitcoin. Any transaction which breaks these rules is not a valid bitcoin transaction and would never be accepted under any circumstances, even if every other person in the world accepts it. Like all software, bitcoin needs to make upgrades to fix problems or to add new features. However, in bitcoin's case, the entire distributed network needs to stay in sync. One way to upgrade the software is what's known as a "soft fork," one way to change the rules that keep all the nodes in the network in agreement. Soft forks are backwards-compatible changes that don't require all nodes to upgrade. As such, users can "opt-in" to the new rules. Node versions from years ago can be used to send money to upgraded nodes, even though they don't follow these new rules. Now, nodes might not need to upgrade, but at least majority of the miners do. For the soft fork to avoid splitting bitcoin into two assets, at least 51 percent of bitcoin's mining hashrate needs to support the change. Otherwise, it will be the shorter chain due to less computing power and its blocks will be rejected by the rest of the miners. It's hard to know how many miners have upgraded to support the change, since it's not information. The more miners that support the soft fork, the better. This diminishes the likelihood of certain attacks and network disruption as miners shift to the new rules. In some cases, such as the code change P2SH, this shift to the new soft fork rules occurred via a "flag day," also known as a "user-activated soft fork" (UASF). A UASF works like this: Developers, nodes and businesses, set a "day" (actually a block number) that's, say, six months or a year into the future. At that time, upgraded nodes will enforce the new rules and reject blocks that don't support them. In theory, miners will generally opt to upgrade for fear of losing the block rewards that come with enforcing the rules and adding blocks. However, this process hasn't been trouble-free. Some miners haven't been properly prepared in the past, and have lost block rewards in the process. Because of this, developers developed a "miner-activated soft forks" system as proposed in Bitcoin Improvement Proposal (BIP) 34 and BIP 9 that requires 95 percent of bitcoin's miners to "signal" that they are prepared for the change. That's why bitcoin miners have signaled for soft fork upgrades for the past several years. Bitcoin miners signaling support for specific protocol changes is sometimes mistaken for a vote on the rules of Bitcoin. The main issue with the concept of miners choosing to promote a specific vision for bitcoin’s consensus rules is that these actions have no bearing on what will happen once a new, forked version of Bitcoin is available to trade against the original version of Bitcoin. Technically, miners could decide to act against their own interests and mine the less profitable chain. They could even attempt to force their proposed rule changes on users by attacking the original chain. But from the perspective of users, this would not be much different from any nefarious actor taking control of a large amount of hashpower and attacking the network. In such a scenario, users can deploy a hard fork to change Bitcoin’s proof-of-work algorithm, which would effectively make the miners’ expensive ASIC mining hardware worthless. In short, miners are just service providers who provide a security service to whichever chain they want to provide a security service to, and the users and investors are the one who determine the value of the coin. Instead of enforcing rules on users, miners should respond to profit incentives.